* Ouya console & controller (wired USB Xbox 360 pad also supported). * HDMI compatible TV/Monitor preferably connected to a loud sound-system. 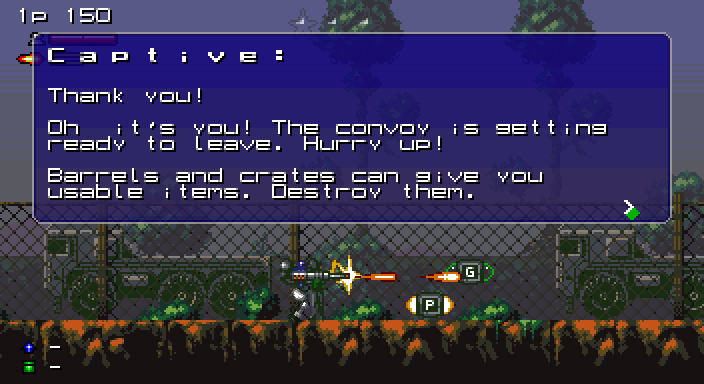 Despite being an Android .apk, this particular version of Heavy Recoil - Convoy Chaser only works on the Ouya console. 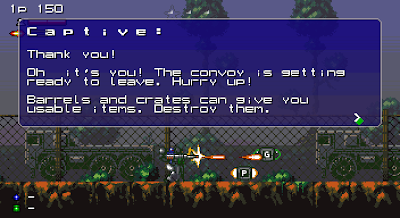 You can either download the game direct on the Ouya via it's Discover store, or as a standalone .apk from it's page at Total Ouya. 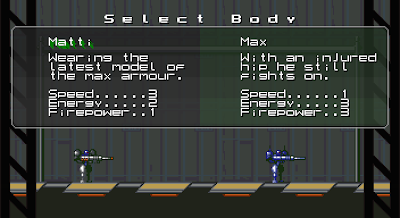 Initially, the game is in demo form (playable up to the first boss) but can be unlocked for $0.99. BONUS! The OST is available to buy from Hasse Axəlsson's Bandcamp page HERE. 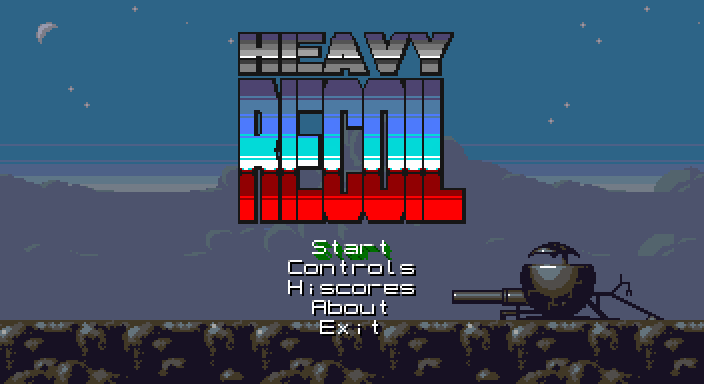 Wide Pixel Games' Heavy Recoil - Convoy Chaser takes the run 'n' gun genre back to the coin-op golden age of the 1980's, when you hadn't really beaten a game unless you'd done it on a single credit. 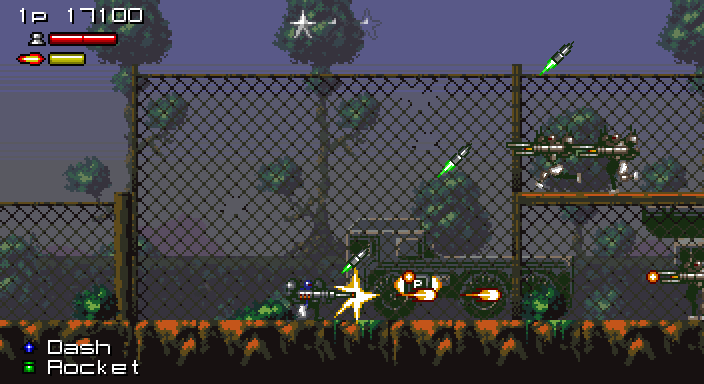 Lead your auto-cannon wielding robot deep behind enemy lines and smash tanks, gunships and fearsome bosses with your awesome arsenal of deadly weaponry! Rescue prisoners of war and blast everything in your path like a REAL hero! RGCD backed the development of the Ouya console via their Kickstarter fund primarily for the reason that we envisioned the rubiks-cube, low-cost device being a first stepping stone for many developers into the scary world of console game development and publishing. However, like many Ouya Kickstarter backers, the retail launch came and went, and we were still without our Ouya. Not one to be bitter about such things, after receiving an unexpected work bonus, RGCD frontman James Monkman decided to buy a retail Ouya from the local Game store in Exeter - only to discover that his backer unit was sat on the RGCD office doorstep when he returned from the shops. So, that's how we ended up with two Ouyas. 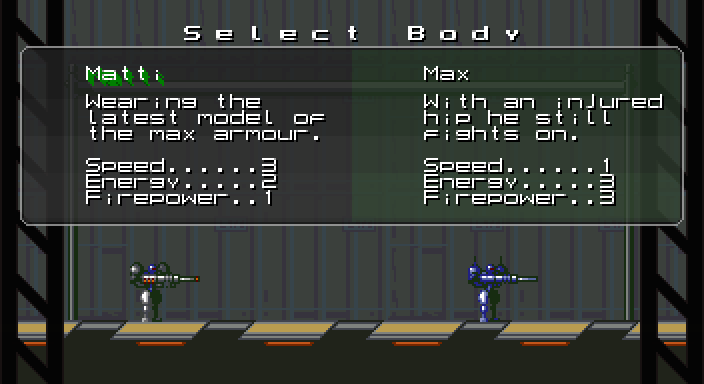 Meanwhile, our good friends at Wide Pixel Games were toying with the idea of porting across some of their XBLIG titles, and after a brief discussion were more than happy for us to send our spare unit over to Sweden as a form of sponsorship. 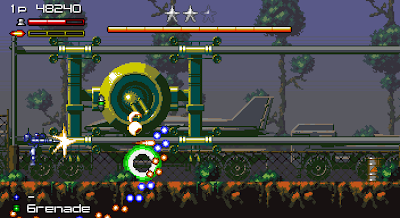 And on the 26th of July 2013, our first collaborative game went live on the Ouya store! 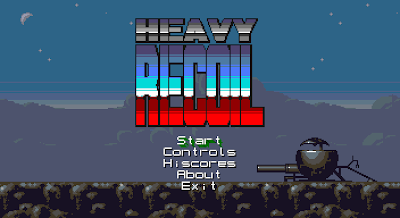 Heavy Recoil - Convoy Chaser is a Wide Pixel Games production, Copyright 2012-13. 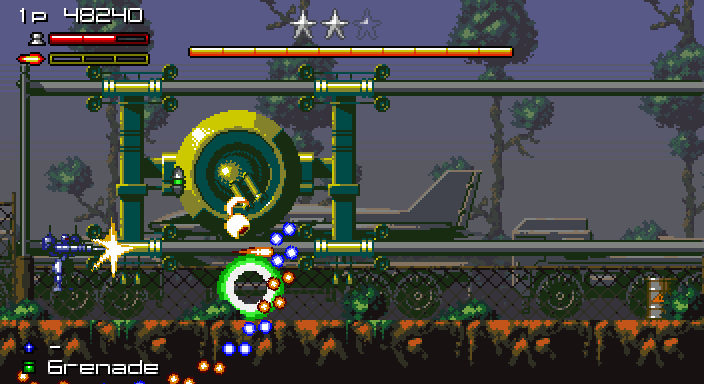 The development of the Ouya version was kindly sponsored by James Monkman of RGCD.